To drive the blockchain-based enterprise business solutions in banking & financial services, mobile governance and enable blockchain start-ups in India. Belfrics Group has a current market valuation of over 400 million USD now and targets revenue growth of 10X in the next two years. MUMBAI, India, Feb. 1, 2019 /PRNewswire/ -- Belfrics, a Malaysia-based global blockchain infrastructure & technology solution provider and a crypto asset exchange appoints Kumar Kushal as the Chief Technology Officer at the company. Mr. Kushal presently is also the Global CTO for Tiller Capital, a New York-based multibillion-dollar investment house with a diversified portfolio in technology, financial services, telecommunications and infrastructure. His role at Tiller Capital the last two years is that of a digital transformation business architect focused on delivering trusted computing technology, blockchain enabled financial services, e-retail, e-travel, e-commerce, supply chain management, logistics and supply chain financing. Kushal is an expert in building focused, result oriented technology teams and business development teams for global businesses by attracting and incentivizing the best global talent; driving business outcomes and revenue realizations through innovative technology solutions with differentiated product and service portfolios. 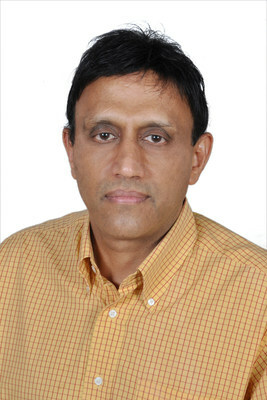 With his in-depth knowledge of technology, expertise in implementing digital transformation and global network and more than 15 years of experience in the banking and financial services domain, Kushal mission is to grow Belfrics into a global market leader in blockchain technology driven business solutions. Mr. Kushal plans to hire hundreds hands on Java resources in Bangalore to deliver the current business pipeline Belfrics have from USA, Africa and Middle East. He is focused on creating next generation blockchain enabled digital FinTech revolution. Belfrics is offering their BelriumTM branded social media KYC and identity driven enterprise public blockchain infrastructure for systems integrators and the developer community globally. Making the announcement, Mr. Praveen Kumar, CEO, Belfrics said, "We are delighted to have Mr. Kushal as the CTO at Belfrics. A skilled and reputed leader with extensive experience in successfully leading and managing multiple programs and large teams simultaneously, Mr. Kushal brings with him a wealth of interdisciplinary knowledge and global experience, which will help strengthen Belfrics' presence in the market as the leading player of Blockchain solution provider. His vast global experience spanning close to two decades will help take Belfrics to new heights by adding deeper research, latest technology and knowledge and newer business ideas. We at Belfrics are confident that Mr. Kushal will have great success in driving our technology vision forward." Expressing thoughts on joining Belfrics, Mr. Kumar C. Kushal said, "I am extremely excited to be a key stakeholder in such a dynamic company and scalable disruptive technology and hope to build great synergies together. Belfrics is known for its innovations in the sector and I wish to continue that distinction while scaling up the business. Belfrics is dedicated to disrupt global markets by making blockchain technology easily accessible to one and all and I am enthused to lead Belfrics' technology vertical to mark the company as the undisputed leader in the blockchain segment in the near future. I am thrilled with the immense possibilities and look forward to drive business values and deepen our relationships with the customers." Kumar Kushal has MS in Robotics from West Virginia University, USA and has done his B Tech in Engineering from IIT, Madras. Belfrics Group is one of the leading blockchain technology firms and cryptocurrency exchanges with close of the world. Established in 2014, Belfrics is dedicated to disrupt global markets by making blockchain technology easily accessible to one and all. Headed by Founder & CEO – Praveen Kumar and his team have envisioned the opportunities and benefits of cryptocurrencies as the future of the digital currency market. Globally headquartered in Kuala Lumpur, Belfrics Group has already expanded its operations across countries like Singapore, Kenya, India, Nigeria, Tanzania and Bahrain. Belfrics has already structured a team of skilled trading industry professionals who aim at maximizing the benefits of an individual investor through the company's reliable, simplified and secured trading platform.